Kindly Rip Van Winkle, loved by all in town, lives a quiet existence in a small village at the foot of the Catskill Mountains. Until one day, travelling in the mountains, he somehow falls asleep. Upon waking, he finds that twenty years have passed! 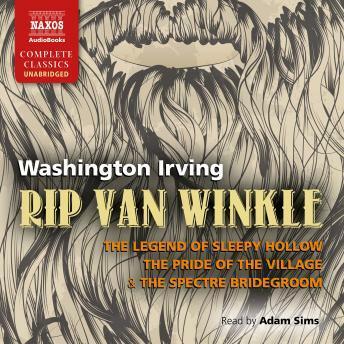 For adults and children alike, Rip Van Winkle, is a charming novel that vividly captures a nostalgic period in American history. It is counted among the earliest examples of American fiction. Presented alongside this story is The Legend of Sleepy Hollow, Irving's story about the headless horseman, which explores the nature of legend, and The Pride of the Village, a mythic tale of love and loss, and The Spectre Bridegroom, along with its prequel, The Inn Kitchen.